In our recent trip to Japan, our plan was to have Tonkatsu Pork Cutlets for dinner on the same day we had the glorious sushi breakfast. We’ve been awake for more than 15 hours with just 2 hours of sleep after an 11-hour flight. You can probably imagine how exhausted we were. I seriously felt like a zombie that day! The Tonkatsu restaurant was quite far from our hotel. Plus, they don’t take reservations while being wildly popular among the locals. We were extremely glad we went. It was THE BEST tonkatsu we’ve ever had! The buttery pork was so flavorful, tender and juicy. It blew my mind as it literally melted in my mouth. YES! Pork melted in our mouths!! Oh, the breading was so light and fluffy yet fresh and crisp. Everything was just deliciously perfect. We bought a variety of Japanese curry home from Japan. Japanese curry speaks love to my heart. I’m sooo hooked on the thick & complex combinations of sweet, savory, and spicy flavors. It’s quite different from all the other curries I’ve tried. So, after finding the best cooking method and time to make tender and juicy pressure cooker pork chops, we were super eager to make this baked version of Katsu Curry recipe! Make few small cuts around the sides of the pork chops, so they will stay flat and brown evenly. Season the pork chops with generous amount of kosher salt and ground black pepper. 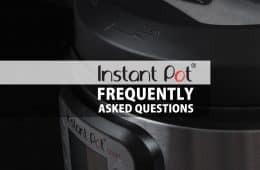 Heat up your pressure cooker (Instant Pot: press Sauté button and click the adjust button to go to Sauté More function). 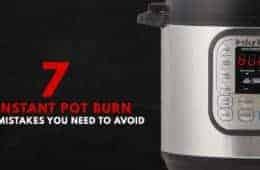 Make sure your pot is as hot as it can be when you place the pork chops into the pot (Instant Pot: wait until the indicator says HOT). This will prevent the pork chops from sticking to the pot. Add 1 tablespoon of olive oil into the pot. Ensure to coat the oil over the whole bottom of the pot. Add the seasoned pork chops into the pot, then let it brown for roughly 2 – 3 minutes on each side (don’t need to flip it continuously). Add the sliced onions and stir. Add a pinch of kosher salt and ground black pepper to season if you like. Cook the onions for roughly 1 minute until soften. 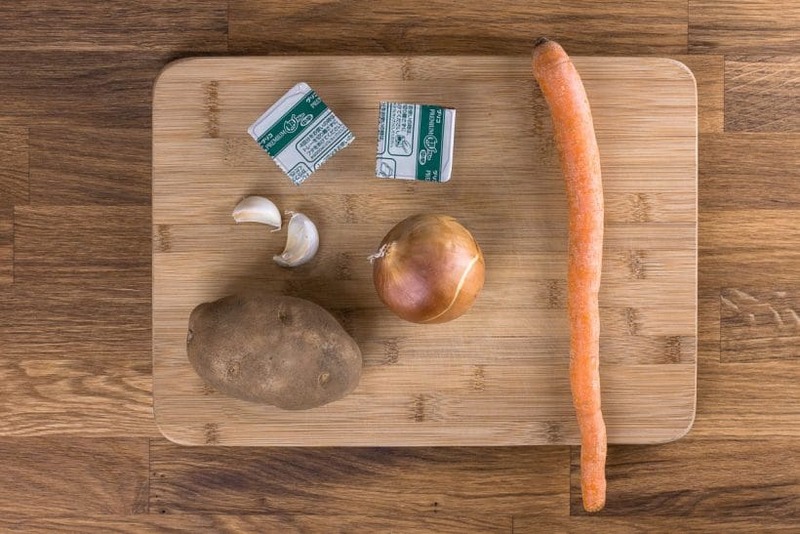 Add potatoes and carrots into the pot. Then, add chicken stock and fully deglaze the bottom of the pot with a wooden spoon. Pressure Release Method: Turn off the heat and fully Natural Release (roughly 10 minutes). Check the pork chops’ internal temperature with a food thermometer and make sure it’s at least 145°F. While the pressure cooker is cooking, first preheat the oven to 400°F. Then, heat a skillet over medium heat. Add butter, 1 tablespoon olive oil, and 1 cup panko breadcrumbs to the skillet. Toast the breadcrumbs until golden brown. Taste and add a small amount of kosher salt for seasoning. 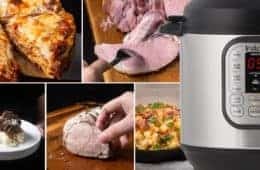 Remove the pork chops from the pressure cooker. Continue to simmer the remaining ingredients over medium low heat (Instant Pot: press Sauté button and click the adjust button twice to go to Saute Less Function). 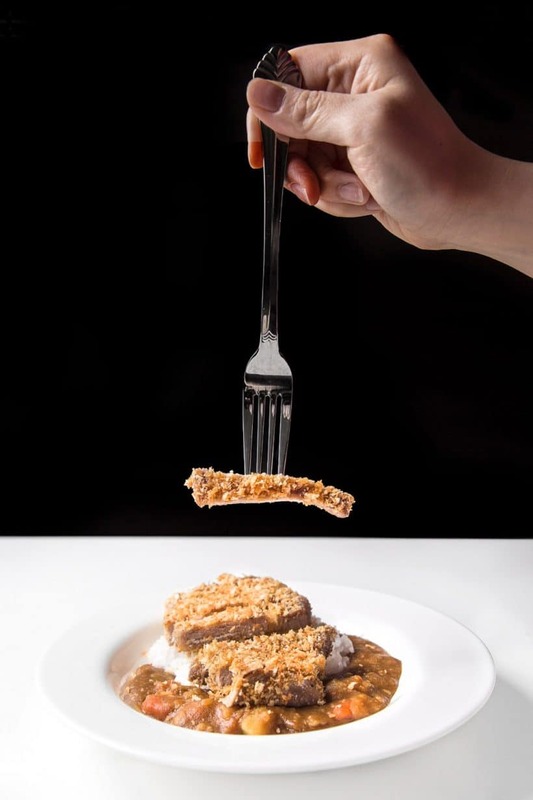 Lightly Coat the pork chops with flour, then dip the pork chops into the beaten egg and cover the pork chops with the toasted breadcrumbs. Place the pork chops on a wired rack and place into the oven for roughly 5 minutes until the breadcrumbs stick onto the pork chops. 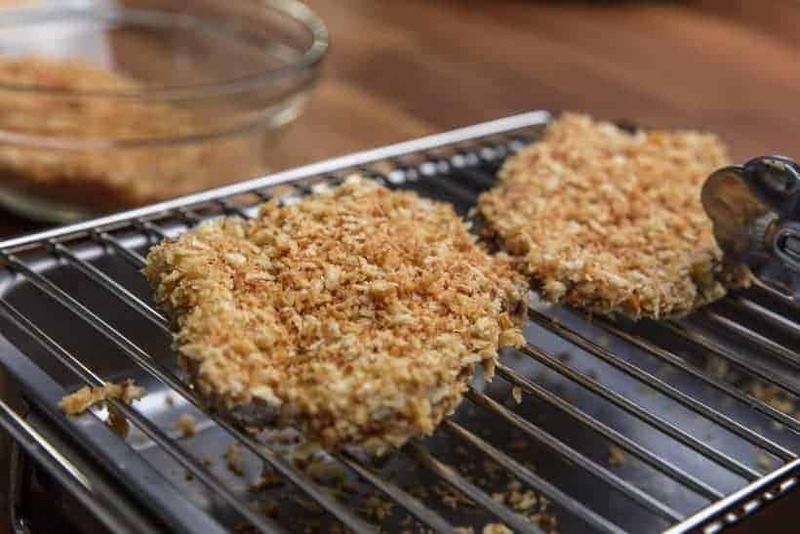 *Pro Tip: It’s important to place the pork chops on a wired rack in the oven (as shown in picture below), so the breading will turn out crispy and crunchy. Turn off the heat of your pressure cooker and add in 2 Japanese curry roux cubes. Mix until the roux cubes have fully melted. Taste and adjust (add more salt if necessary). Serve this delicious Instant Pot Katsu Curry immediately with Japanese rice! Pressure Cooker Pork Chops Experiment: Since pork chops cook in a flash in the pressure cooker, we did an experiment to find the best cooking time and method to make pressure cooker pork chops. 12 minutes, Natural Release – the pork chops were overcooked. 10 minutes, Quick Release – the pork chops were overcooked. 5 minutes, 5 minutes Natural Release – the pork chops were still overcooked. 5 minutes, Quick Release – the pork chops were fully cooked, the results were not bad. However, the meat was a bit dry due to using quick release. 1 minute, Natural Release – the pork chops were flavorful, tender, moist, and juicy. Now it’s YOUR turn to take out your pressure cooker and make some Instant Pot Katsu Curry (Japanese Curry with Tonkatsu)! Make this easy Instant Pot Japanese Katsu Curry (Tonkatsu) meal. 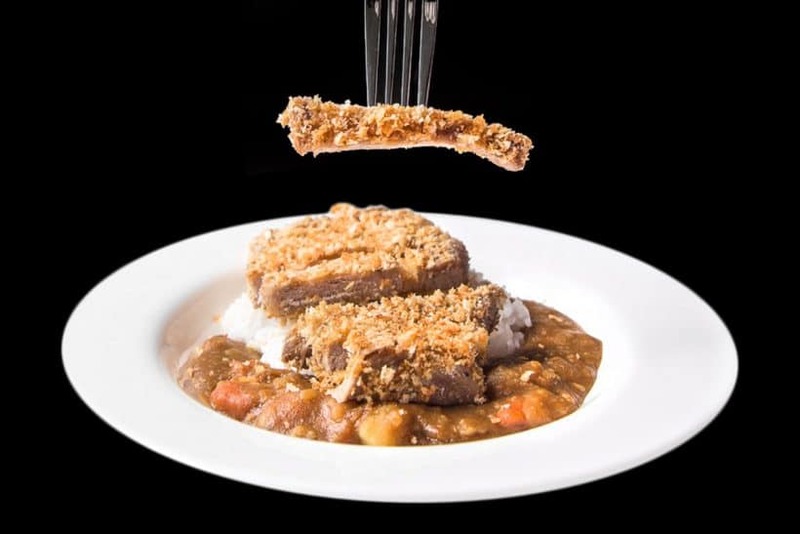 Juicy, tender pork chops coated with toasted breadcrumbs, paired with sweet Japanese curry over rice. Prepare the Pork Chops: Make few small cuts around the sides of the pork chops, so they will stay flat and brown evenly. Season the pork chops with generous amount of kosher salt and ground black pepper. 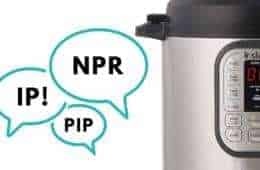 Heat Up the Pressure Cooker: Heat up your pressure cooker (Instant Pot: press Sauté button and click the adjust button to go to Sauté More function). Make sure your pot is as hot as it can be when you place the pork chops into the pot (Instant Pot: wait until the indicator says HOT). This will prevent the pork chops from sticking to the pot. Brown the Pork Chops: Add 1 tablespoon of olive oil into the pot. Ensure to coat the oil over the whole bottom of the pot. Add the seasoned pork chops into the pot, then let it brown for roughly 2 – 3 minutes on each side (don’t need to flip it continuously). Remove and set aside. Sauté the Onion and Garlic: Reduce the heat to medium (Instant pot: press cancel button, then press sauté button). Add the sliced onions and stir. Add a pinch of kosher salt and ground black pepper to season if you like. Cook the onions for roughly 1 minute until soften. Then, add garlic and stir for 30 seconds until fragrant. Deglaze the Pot: Add potatoes and carrots into the pot. Then, add chicken stock and fully deglaze the bottom of the pot with a wooden spoon. Pressure Cook the Pork Chops: Place the pork chops back with all the meat juice into the pot. Close lid and pressure cook at High Pressure for 1 minute (Electric or Stovetop pressure cookers). Turn off the heat and fully Natural Release (roughly 10 minutes). Open the lid carefully. Check the pork chops’ internal temperature with a food thermometer and make sure it’s at least 145°F. Prepare the Coating: While the pressure cooker is cooking, first preheat the oven to 400°F. Then, heat a skillet over medium heat. Add butter, 1 tablespoon olive oil, and 1 cup panko breadcrumbs to the skillet. 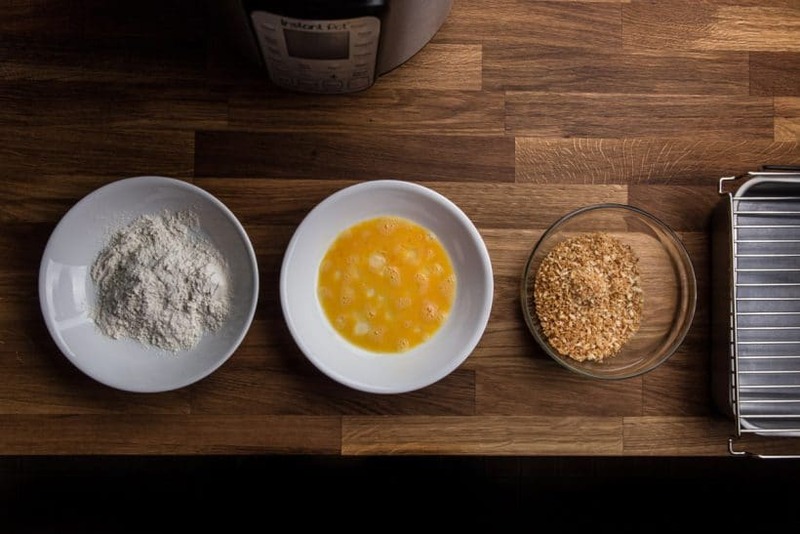 Toast the breadcrumbs until golden brown. Taste and add a small amount of kosher salt for seasoning. Simmer, Shake and Bake: Remove the pork chops from the pressure cooker. Continue to simmer the remaining ingredients over medium low heat (Instant Pot: press Sauté button and click the adjust button twice to go to Saute Less Function). Lightly Coat the pork chops with flour, then dip the pork chops into the beaten egg and cover the pork chops with the toasted breadcrumbs. Place the pork chops on a wired rack and place into the oven for roughly 5 minutes until the breadcrumbs stick onto the pork chops. Make the Curry: Turn off the heat of your pressure cooker and add in 2 Japanese curry roux cubes. Mix until the roux cubes have fully melted. Taste and adjust (add more salt if necessary). Serve: Serve immediately with Japanese rice! I just made this for supper, man was it delicious! I’ve never had Katsu curry before but I’ll definitely be making it again! I love your website, recipes are easy to follow and they’re always delicious! Hi Amy and Jacky, I’m looking forward to making this. My question is whether I can make my own Japanese curry roux cubes/sauce? Thanks! Yes! I believe seriouseat has a made from scratch version. Made this last night and it was superb, although a little complicated by having to use the oven and stove. Well worth the effort though – curry and pork, what’s not to like! 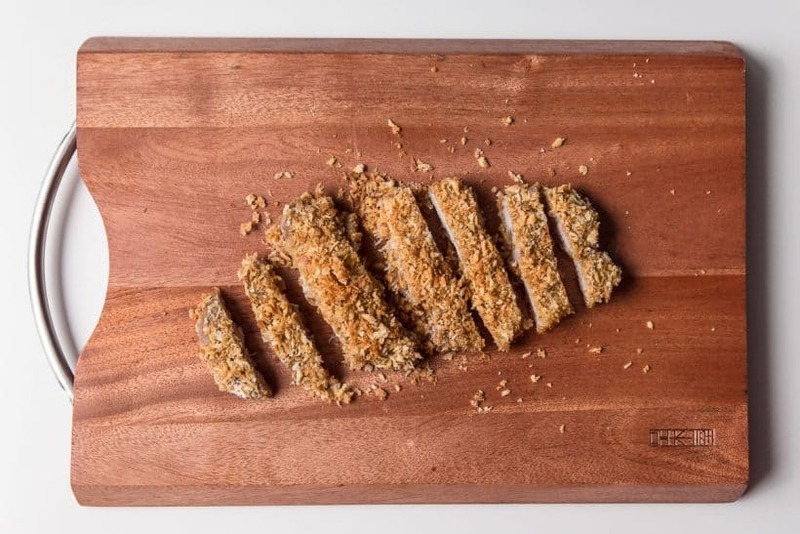 The crispy, buttery, toasted panko really made the katsu great. 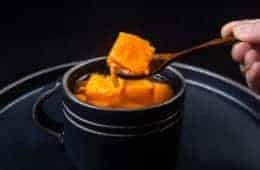 Can you do a chawanmushi recipe sometime? Chawanmushi is on our to-make list! What is the thickness of the port lion? 0.5 inch or 1 inch? Can I use Berkshire Pork Loin? 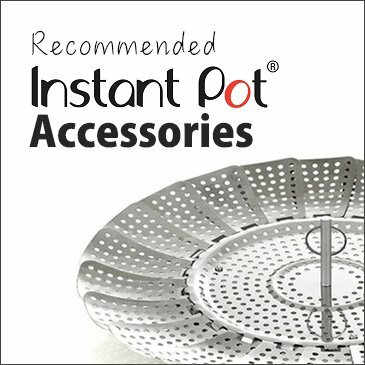 I will be receiving my very first Instant Pot any day now! 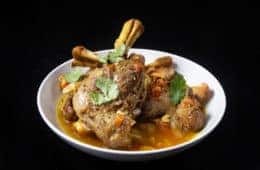 I found your site when searching for recipes for it. There are so many here that I’m eager to try. I particularly excited about this one. Katsu Curry is one of my favorite meals! I think I will be trying it first. I can’t wait! I really appreciate all the detailed information you provide in your recipes. It makes the fact that I’m a pressure cooker newbie a lot less daunting. Thank you so much! if i was to cook this with chicken breasts, how long is the cook time? thank you for your question. If the chicken breast is cut into cubes, it will take 3 minutes + natural release. Just cooked this meal. It was lovely and so easy to make! The pork was nice and tender. I’ve never cooked with panko breadcrumbs or curry roux cubes before so it’s great to try something different! It is always fun to try new things!! Would the curry also work with pieces of chicken breast (skinless and boneless)? Should I leave the chicken breasts whole, butterfly them or cut them into chunks? Hi Anne-Mette, thank you for your question.